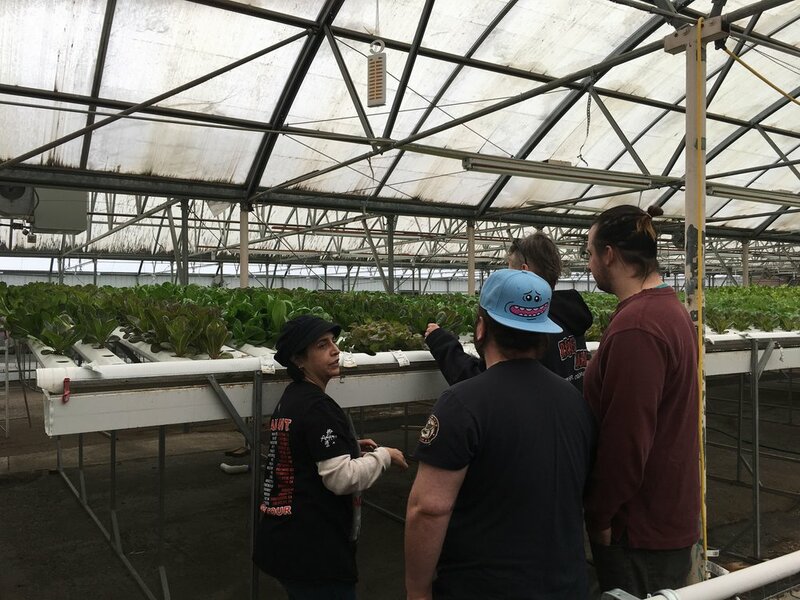 Rebel Farm has one goal in mind and that is to provide their customers with the freshest, GMO free, local produce. Their production capability is based on a sustainable greenhouse farm concept utilizing hydroponic (NFT) technology, with over 38,000 plant sites in their 15,000 sq. foot greenhouse. They grow the premium leafy greens and herbs naturally; free of harmful pesticides and fertilizers and utilizing up to 90% less water than a typical dirt farm. They harvest just before delivery and distribute the produce live on the root, to ensure the freshest produce year round, and the ultimate flavor experience for the consumer. They are proud to support Colorado restaurateurs and markets that are part of the local farm-to-table movement; sustaining the planet one plate of premium greens at a time. Ad Hominem is thrilled to feature Rebel Farm greens and seedlings in house in our very own hydroponic garden. Come enjoy a meal next to the garden and you may just see a chef harvesting greens that will be on your plate!